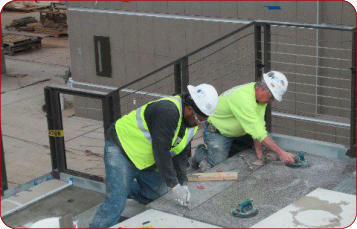 DePaoli Mosaic currently installs Terrazzo throughout New England with the exception of Western Connecticut. 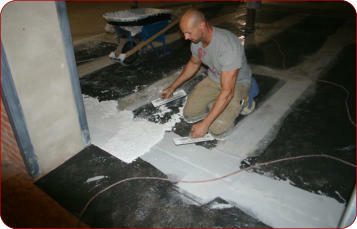 In addition, we install Seamless Composition Flooring within a 50-mile radius of Boston. We offer technical expertise and design ideas and are available for job-specific consultation or general information. Check out our "Terrazzo Information" page for more information about the types of terrazzo we install, Green terrazzo information, terrazzo renovations, and our artistic & creative services. From its inception, DePaoli Mosaic Company has been committed to promoting the use of Terrazzo by helping Architects and Designers with samples, recommendations, and budget prices. 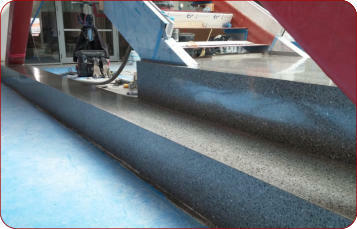 Our office includes a modest display area with over 500 Terrazzo samples. 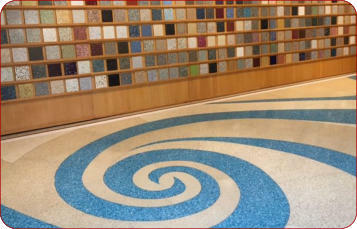 Designers are invited to call for an appointment to review the color and texture of various Terrazzo samples.